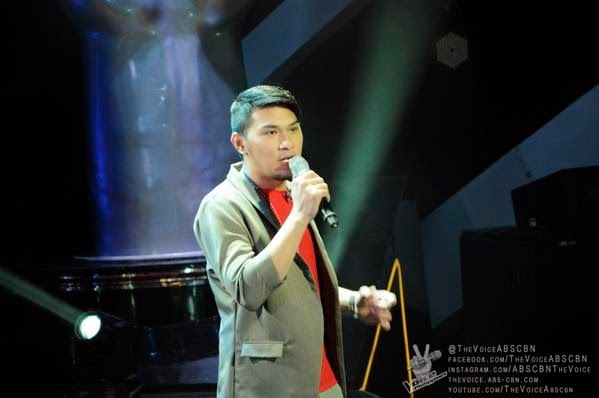 MANILA, Philippines - Humfrey Nicasio performed Pharrell Williams hit 'Happy' during the continuation of Blind Auditions of ABS-CBN's top-rating singing reality show 'The Voice of the Philippines Season 2 aired on Sunday, November 23, 2014. Humfrey Nicasio, 24, from Bohol impressed Coach Lea and Sarah. Nicasio picked Team Lea. As of the November 23 episode, 42 artists have already convinced with at least one coach to turn around. So far, Team Apl has acquired Krystina Louise Ng, Jason Fernandez, Mark Avila, Ferns Tosco, Alisah Bonaobra, Mecerdital Quiachon, Samantha Felizco, Bradley Holmes, Jannet Cadayona, and Mark Cando, while Team Sarah has recruited Poppert Berdanas, Shaira Opsimar, Elmerjun Hilario, Mark Dagal, Daniel Ombao, Demie Fresco, Jason Dy, Kokoi Baldo, Monique Lualhati, and Vanessa Monot. Coach Bamboo, meanwhile, has built a strong team with artists Joniver Robles, Patricia Gomez, Sean Oquendo, Lougee Basabas, Shaira Cervancia, Ramonne Rodriguez, Dang del Rosario, Kai Honasan, Karlo Mojica, Rence Rapanot, and Tanya Diaz, and coach Lea with Thara Therese Jordana, Humfrey Nicasio, Christelle Tiquis, Charles Catbagan, Nino Alejandro, Philippe Go, Jem Cubil, Leah Patricio, Miro Valera, and Timothy Pavino. As coaches Apl, Sarah, Bamboo and Lea continue to build up their respective teams, “The Voice of the Philippines” has viewers nationwide glued to the blind auditions. It posted a national TV rating of 30.4% last Saturday (Nov 15) and 30% last Sunday (Nov 16), trouncing rival programs “Marian” (14.4%), “Celebrity Bluff” (10.5%), and “Kapuso Mo, Jessica Soho” (17.7%). The Sunday's episode of 'The Voice of the Philippines' Season 2 dominates online conversations with '#TVOP2' and 'Ordinary People' among the trending topics.